The Thermals recorded a record about relationships. There. I said it. And you know what? This record isn’t as bad as that might sound. and Weezer than it is to Billy Bragg or Fugazi. Sure, there’s politic in the personal, but this record deals with relationships in a real way, a way we can all relate. 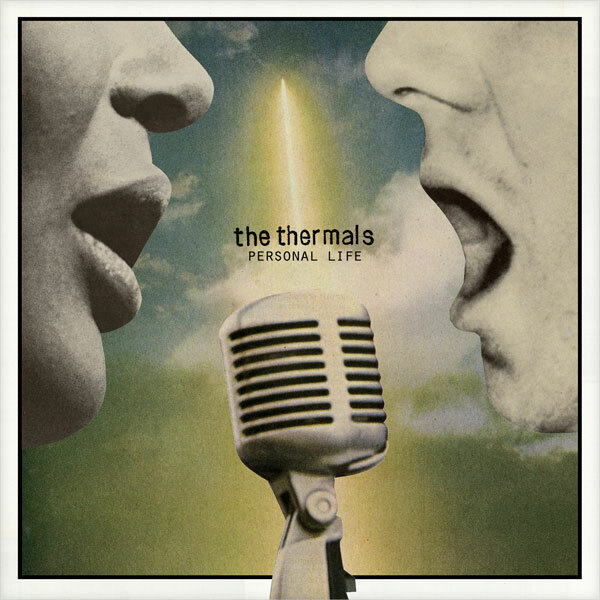 Melodrama is left behind as real emotion comes through in what must be the most mid-tempo record The Thermals have ever set to tape. It’s not completely poppy, but it’s approaching a pop sensibility not normally associated with a KRS act. Still, I like it. It’s relationship music at its finest. I’m a sucker for this and The Thermals did it right. The biggest difference in this album and previous Thermals records is the aesthetic. Nothing creates more criticism or praise for an album than aesthetic. Which is too bad as the songwriting and musicianship usually remains relatively the same or improves over time. In The Thermals’ case, it’s a cleaner, ready-for-radio sound that mirrors a Weezer or a Ocasek-era GBV. Still, Kathy Foster’s heavy bass lines are more in-front than I’ve ever noticed. All this is good in a lofi era that prefers more bedroom and less digital. The key is that The Thermals did not tweak their aesthetic too much. Personal Life is still unmistakably a Thermals’record. The production and new themes demonstrate a band who knows what they are and are simply growing. I mean, you can’t play punk rock forever, can you Billie Joe? In much the same way The Thermals have slightly altered their aesthetic, The Walkmen continue to play with their own aesthetic that won them a Saturn commercial and our collective indie rock hearts so long ago. Lisbon is yet another boozy, late-summer gem that not only furthers The Walkmen mystique but also plays with the formula a bit. I’m a huge fan of The Walkmen. I’ve made no secret of this fact. They play a post-punk soul like no one since The Afghan Whigs fucked it up back in the mid-nineties. The Walkmen have a recipe that works. They look good. They keep it simple. And they just put out good records. Lisbon starts off a bit slow, but upon repeated listen, opening track “Juveniles” grows on the listener with nuance and feeling. This is how the rest of the record rolls. The band knows how to use their retro sound and sparse production to create one of the most engaging and sonic aesthetics in music. No one makes records like these. 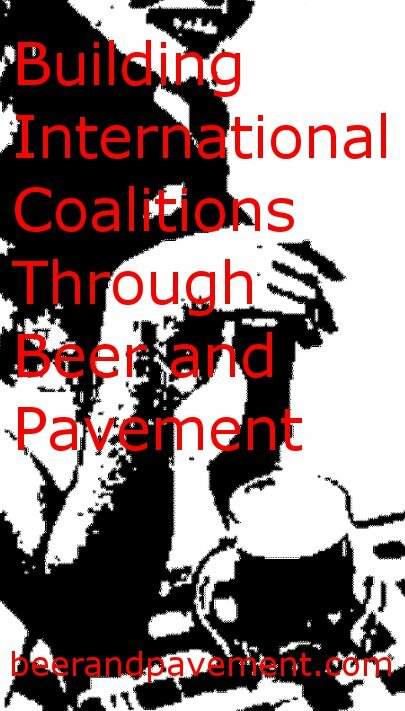 Soul, punk, sonics, feedback, nods to the past, booze, soft-loud dynamics, etc. This just works every time. Most interesting in the transformation of The Walkmen sound is Hamilton Leithauser’s voice. It’s actually improved. I’m sure it’s from tour after tour of screaming himself hoarse every night or not. And the development feels authentic. This is not a classically trained singer by any means. I always appreciated his imperfections, but the steady improvement of his vocals are noticeable and welcomed. This post is heavy on aesthetic. All three albums I’m reviewing here represent my tastes as far as aesthetics are concerned. The Thermals represent a youthful punk exuberance. The Walkmen channel ghosts of rock n roll past as played over a sonic wall few can achieve. All three take advantage of some level of lofi, feedback heavy aesthetic, but Deerhunter comes to this most purposefully. 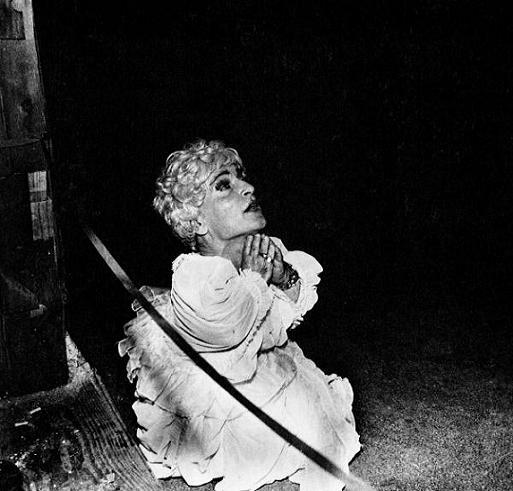 Few bands represent the current trend in indie aesthetic more than Deerhunter. This is not to downgrade their material, it’s just how they represent on a superficial level. Of course, their music is anything but superficial or merely for aesthetics alone. This is just how they sound on first listen, without much investigation. First, Halcyon Digest will never be confused for Microcastle. Or any other heavy-handed previous Deerhunter release. Still, somehow, the band maintains its aesthetic of guitar jangle, muffled bedroom vocals, noise, malleable lyrics, etc. Aesthetic preserved. Halcyon Digest is not at all what I expected, but it works for the most part. It’s loopy, laid back, and sloppy. There’s plenty of angst in the lyrics. It’s compact and whatever the opposite of sprawling is. It’s a ghost of an album and sometimes that’s all you need. The quieter moments in this record are the strongest and most satisfying for sure. OK. I’m nit-picking. There isn’t much wrong with Halcyon Digest, but I am having trouble grasping its brilliance and its folly. The trouble with this indecision is that I don’t think it’s a grower. Some albums tell you that over the course of the first three or so listens. This one doesn’t indicate to me that it will grow on me, but I don’t know that it’s supposed to. Whatever. Deerhunter still records a better record than 99.9% of the bands earning 9+ on P4k. That should be worth something, maybe a little faith in their recipe. Like I said, at least the aesthetics are there. So, there’s the three record reviews promised in the title. It’s as schizophrenic a post as I’ve done in a while, but the important thing to remember is that aesthetic tells us as much about the music we love as almost anything else. All three records present a different aesthetic, but all are worth your time and hard-earned dollars. Please comment and make sense of what I just told you. 1More Tobin Sprout than Bob Pollard. 2Blinkerton Weezer. Also, Ocasek-era GBV is not the best era and did not involve Tobin Sprout. Yes, I contradict myself. 3Seriously, Billie Joe, hang it up. 4Although Lisbon and You & Me are the only two that have actually been released at the end of the summer, all their records sound that way. 5Seriously. The Afghan Whigs had something going with Gentlemen and even Black Love (to a lesser extent) until they sort of forgot what they were doing. Kids today don’t realize how good that band was. 6This post also represents my tendency to being repetitive. Repeatedly. Again. 7Honestly, I’m not that familiar with Deerhunter’s discography. I’m going by what I’ve heard and read. 8The sonic levels reached are quite enjoyable as well, but they don’t reach as high as the last time out. 9This is the point where this post loses its own cohesion. I really need to listen to the new Walkmen album, and soon. I’m glad someone else thinks a similar way about Deerhunter. I’m very late to the party, but listening to the new record, and some of their earlier stuff, I like it, but I can’t really get a handle on it. Maybe they are a band to admire, rather than love? I hope not, as from initial listens there is certainly something interesting going on. Certainly their songs create a strong first impression – its just working out what that impression is! I’ll stop rambling now. 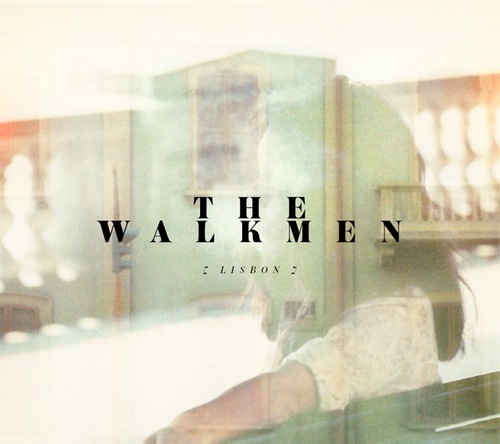 Lisbon is not the best Walkmen album, but it’s typical Walkmen. Does that make sense? I love it and it fits well with their previous releases. Yeah, I sort of feel that Deerhunter is a product of the single-first generation. So, their albums feel a bit disjointed. Sure, there’s some brilliant material on there. I just don’t feel the albums live up to the band’s abilities. The Afghan Whigs were great. Of course, I’ve limited my love to the Gentlemen/Black Love period, but I know people who love their Sub Pop era work and even some who think their las record (1967?) and the Twilight Singers stuff is great. Halcyon Digest feels a little disjointed, but beyond that? Microcastles and Cryptograms seem pretty cohesive and well sequenced to me, and I’ve always been an albums person. In interviews, Bradford has even described Microcastles as having movements and phases. Hell, even the Microcastles bonus disc Weird Era Cont. seems pretty well thought out as a whole piece rather than just the sum of it’s parts. It’s not Dark Side of the Moon or anything, but come on. At least let’s not blame this on some generational thing just because it doesn’t tickle your fancy. As far as Halcyon Digest being a grower, I guess that’s “just like, your opinion man.” On first listen I was kind of put off because there were two or three songs that I thought were really fantastic and the rest I was ambivalent at best about – I was kind of disappointed, but then I listened to it a couple more times. The songs I thought carried the album aren’t even my favorites anymore. It is absolutely a grower. Give it a few more runs through – it will be a rewarding experience, I promise. Foundry Field Recordings. I checked Wikipedia; they’re listed as Billy Schuh and the Foundry. How did this comment end up here? Did I double click something? @Zach No, I’ll give you Microcastles and Cryptograms being way more coherent albums. I love moments on both, I just don’t get that enthused about listening to them in one sitting. That may be a generational thing, but meaning I’m old and lame. They make albums differently than I’m accustomed. I don’t mean to say they’re making albums so that they can sell each song for 99 cents, but they just have a different sort of take on the album than I’m used to. I will give Halcyon Digest another listen. In fact, I’ll probably give it many. I really do like Deerhunter. Brandon Cox is great, but sometimes I feel he’s come along 15-20 years too late. That’s not a knock. He makes modern music with sort of a 1990’s taste. If I made music, the same would probably be said about me. Of all Deerhunter albums, I’d venture to say that Halcyon Digest might have some sequencing issues which are the root of it’s lack of cohesion as an album, but I can still listen to it straight through more so than many other albums. But also consider that now is probably the most appropriate time for anyone to make music that echoes the 1990s. And in many ways he’s reinterpreting some of the styles that came out of that decade in a more modern way. He’s a guy with an expansive pedal board and a real knack for music making. (need I bring up the time last year [almost to the date] when I saw him make up a brilliant song on the spot during a live performance again?). and I’ll take that any day over the slew of obnoxious people with digital synthesizers trying to recreate the 1980s over and over again. Hell, I’m pretty sure the same HAS been said about me. I may have said it.